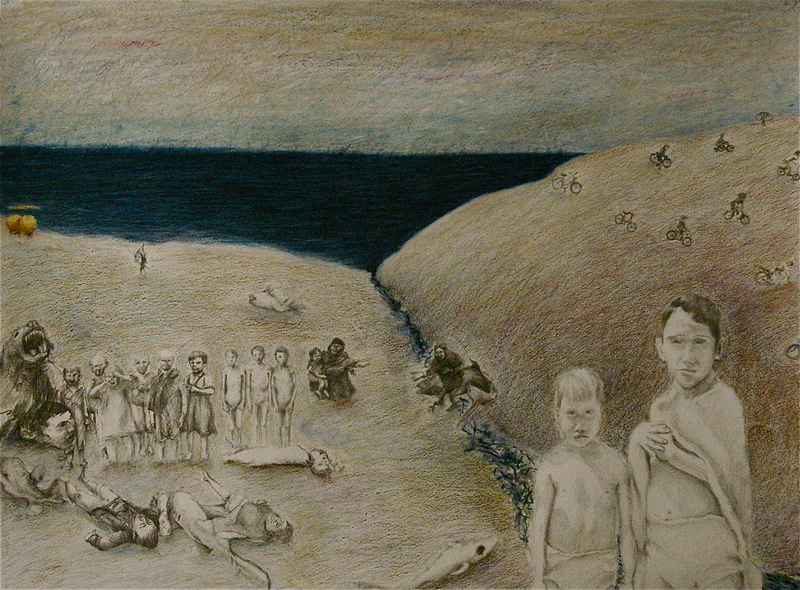 Dreamcomposition 15, The Advent of the Family not Far from the Ocean, etching and aquatint, 75 x 100 cm, edition of 21. 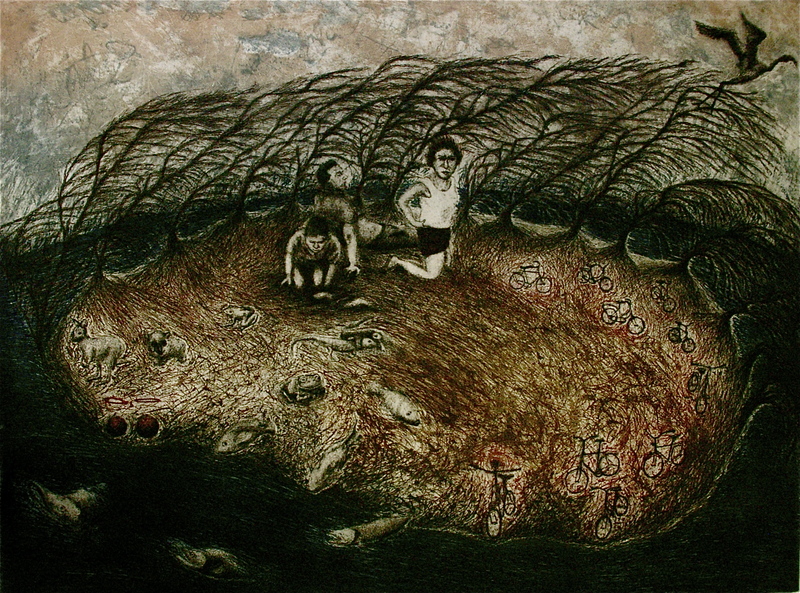 Dreamcomposition 13, etching and aquatint, 42 x 59.4 cm, edition of 21. 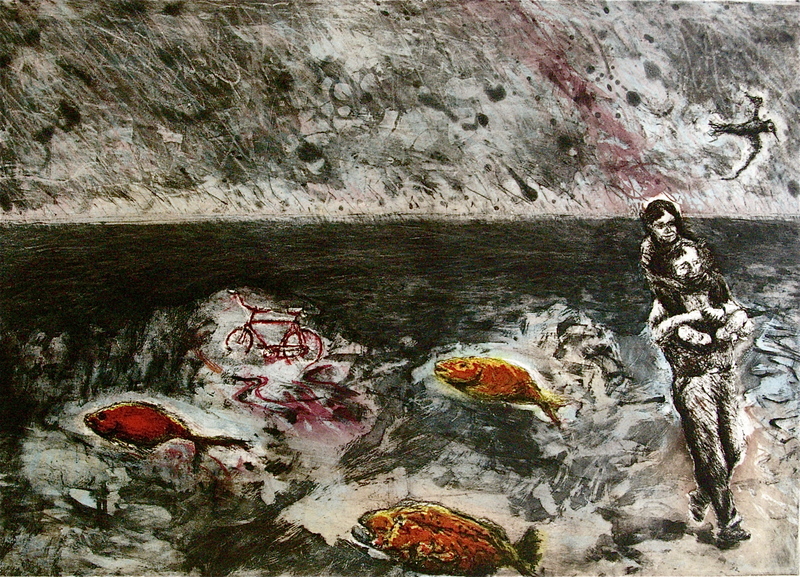 Dreamcomposition 14, Ascension, etching and aquatint, 42 x 59.4 cm, edition of 21. 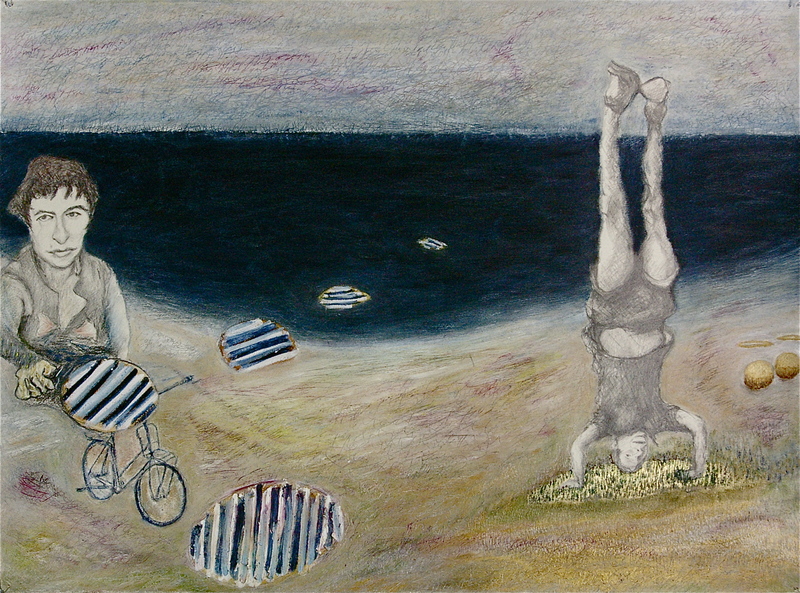 Dreamcomposition 18, Intense Fear Liberated by the Spirit of the Ocean 1, mixed media with gold leaf on paper, 57 x 76 cm. (private collection). Dreamcomposition 16, mixed media with gold leaf on paper, 57 x 76 cm. (Private collection). 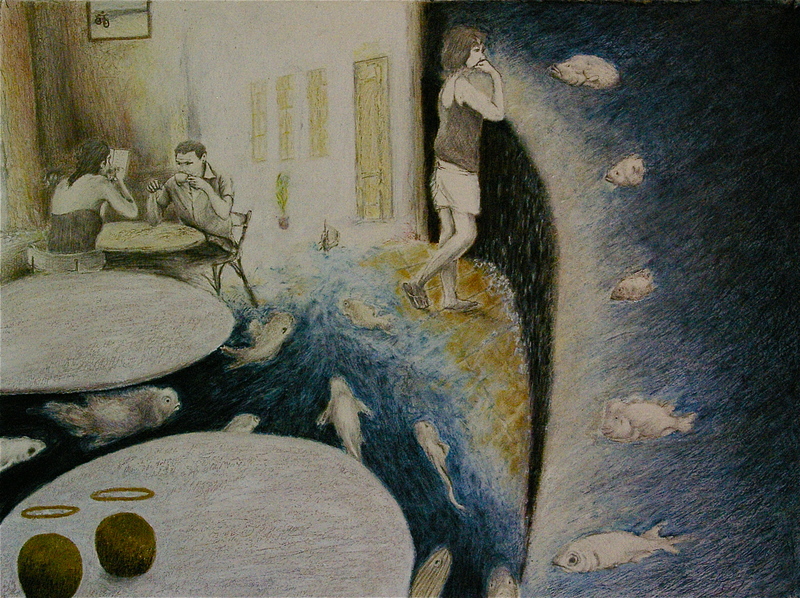 Dreamcomposition 17, Watercourse 1, mixed media with gold leaf on paper, 57 x 76 cm. Dreamcomposition 19, All About my Mother, mixed media with gold leaf on paper, 57 x 76 cm. 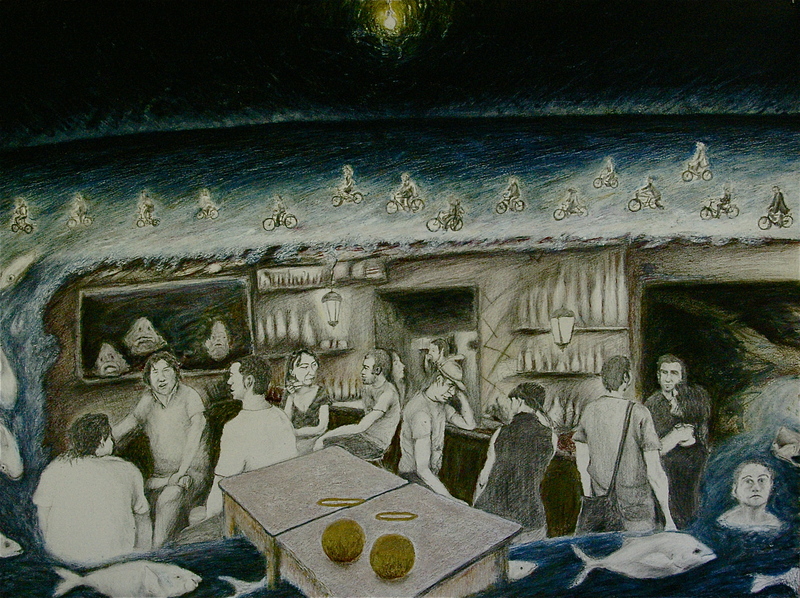 Spirit of the Ocean, etching and aquatint, 10 x 39 cm, edition of 28. 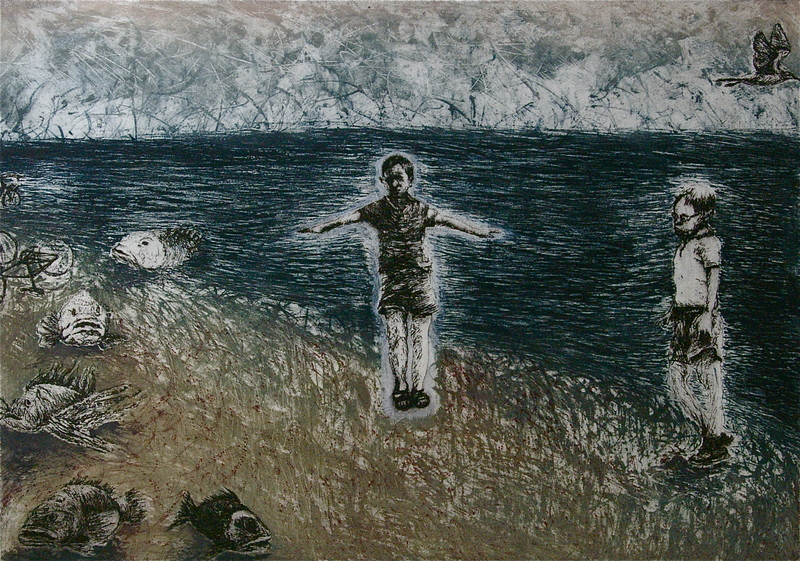 Facing the Spirit of the Ocean, etching and aquatint, 16 x 39 cm, edition of 28. Man and Woman by the Sea, etching and aquatint, 16 x 39 cm, edition of 28. 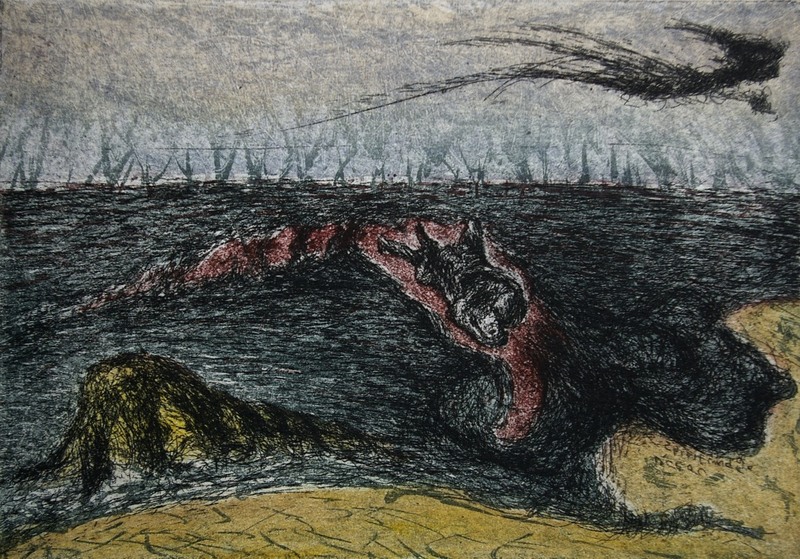 Conception, etching and aquatint, 15 x 21 cm, edition of 20.